Local strawberries are ripening and the swimming holes and farmers’ markets are hopping. Welcome to summer, Catskills. Get out there and eat, drink and enjoy the mountains. Here are Catskill Eats’ first round of events and activities for June. Got a tip to share? Drop us a line. 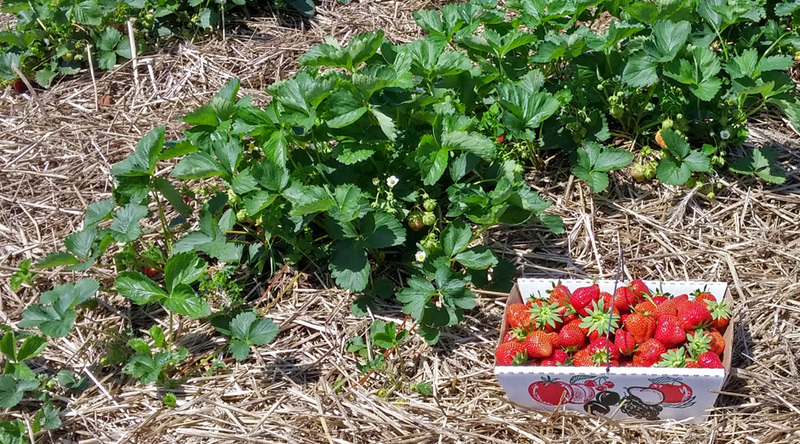 Pick Your Own Strawberries: Summertime means bountiful berries are available throughout the Catskills, and strawberry season is here. Check out a few of our favorites: Story Farms (open now), 4640 Route 32, Catskill, (518) 678-9716, Greene County; Kelder’s Farm (open now): 5755 Route 209, Kerhonkson, 845-626-7137, Ulster County; Bohringer’s Fruit Farm (opening in mid-June), 3992 Route 30, Middleburgh, 518-827-5783, Schoharie County. Hudson Valley Food Truck Festival: Thursday, June 16, 4 to 9:30 p.m., Cantine Field, Saugerties. The rodeo is back for another season, offering goodies from a huge selection of local vendors. It happens every third Thursday of the month through Oct. 20, with a changing lineup of live music. American Craft Beer Fest: Saturday, June 18 2 to 6 p.m., The Andes Hotel, 110 Main St., Andes. The “Summer Shack” behind Andes’ popular tavern transforms into a beer garden for the eighth annual festival, where $30 buys you a commemorative tasting glass and a chance to taste offerings from a wide variety of U.S. brewers. (Non-drinkers pay $5 cover.) Live music by Talking Machine and beer-friendly food round out the afternoon’s fun. Travel the Milky Way Creamery Tour: Sunday, June 19, noon to 5 p.m., various locations. Embark on a self-guided tour of open houses at six small family-owned Catskills creameries that produce milk, butter, yogurt, kefir and other dairy products that will be for sale at each site. Meet farmers (and cows) and learn about dairying from the local experts doing it every day.